Kentucky Agriculture Commissioner James Comer hailed a banner year for Kentucky agriculture and laid out a vision of effective government that works with the private sector in his annual State of Kentucky Agriculture address Wednesday during the Commodity Luncheon at Kentucky Farm Bureau's 94th Annual Meeting in Louisville. "While other industries are struggling in a tough economy, the state of agriculture in Kentucky is outstanding," Commissioner Comer said, pointing out that Kentucky crops are achieving record yields and production, horse sales are booming, and beef cattle and poultry are building on a strong year in 2012. 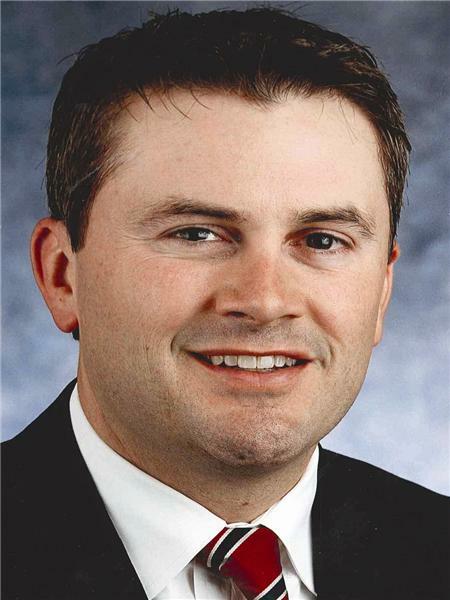 Comer's speech followed a presentation by University of Kentucky agricultural economists who said that farm cash receipts from the sale of agriculture and forestry products could approach or even exceed $6 billion in 2013. Comer mentioned that a UK study published last summer said the commonwealth's equine industry generates $3 billion in economic activity and more than 40,000 Kentucky jobs. "Government can foster a business-friendly environment," Comer said. "It can be a resource and provide an assist when necessary. It can even act as a matchmaker between producers and businesses. But then it must step aside and get out of the way." * Udderly Kentucky, a brand that represents milk produced by Kentucky dairy farm families and processed by Prairie Farms Dairy of Somerset.